A.G. Sulzberger Will Follow His Father As Publisher of the New York TimesKeeping it in the family. Prolific New York Times Reporter Accused of Sexual MisconductA chilling Vox report details the White House correspondent’s alleged predatory behavior toward young female journalists. 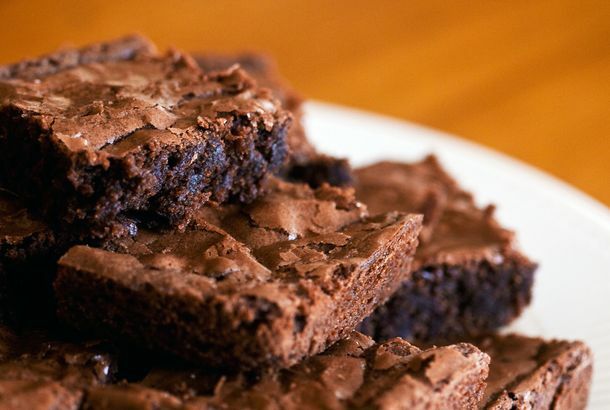 The Story Behind the Greatest Internet Recipe Comment of All TimeSydne Newberry, a brownies recipe, and the woman who moved to the U.S. and stole her husband. The New York Times Kills Public Editor RoleLiz Spayd, the paper’s sixth public editor, will also be its last. Trump Goes After the Times for Its Attempt to Mock Him Over Patriots Crowd SizeWe’re going to be comparing crowd sizes for the next four years, aren’t we? The Trump Administration Already Has a Terrible Relationship With the PressAs the president-elect struggles to staff his White House, he lashes out at some media organizations, while shutting out others. James Bennet Moves to Times Editorial PageA replacement editor has yet to be named. Exclusive: Your First Look at the Times’ New ‘Men’s Style’ Section Emoji etiquette, male beauty secrets, and more. On the Condition of Anonymity: A Poem for Margaret SullivanOn background. Assembly Speaker Silver Accuses NYT of Mix-upThe paper published an article about Sheldon Silver’s decades-long attempt to block a low-income housing development. Arthur Sulzberger Jr. Hits Back [Updated]The Times publisher reportedly felt “misled” by Jill Abramson. How New York Times Staffers Reacted to Jill Abramson’s Departure And the news that managing editor Dean Baquet will replace her. David Brooks Doesn’t Mind Skipping the White House Correspondents’ DinnerThe Times man will be drinking elsewhere in D.C.
Jill Abramson Has a New York Times-Style T Tattoo [Updated]The executive editor says she has four pieces of body art. Lacquerheads Pay $150 for ‘Unicorn Pee’ Nail PolishSays the New York Times. The Way We Live Now, by David BrooksWe live in a unique moment. Q&A: Meet the Man Behind ‘Modern Love’Once described as the “male Carrie Bradshaw,” Daniel Jones earns the comparison in his new book, Love Illuminated. The New York Times Discovers Cressida BonasCringe de la cringe. John Koblin of Deadspin Is the Times New ‘Styles’ ReporterEric Wilson’s replacement will know equally as much about Alex Rodriguez and Alexander Wang. Mannequins With Ever More Insane ProportionsLife imitating fiberglass, imitating life. MAKE IT STOP. What Is the High Heel? Answers From the New York TimesEach shoe is many things to many people. The New York Times Dropped a Rare F-BombThe paper is usually very uptight when it comes to profanity. The New York Times Endorses Christine Quinn As the Practical ChoiceAnd Joe Lhota, for the Republicans out there. The Gray Lady Has a Crush on ‘Gangly Liberal’ Bill de BlasioBut will she go all the way and endorse? The New York Times Leads the Anthony Weiner Editorial BacklashSo, no endorsement then? New York Times Reports That People Eat Chopped SaladsDid you know this? Shocker! A Chicagoan Who Is Revered in FashionThe Times can hardly believe Chicagoan Ikram Goldman is successful in fashion. Cuban Editor Demoted After Writing Critical Times Op-EdRoberto Zurbano says the paper mistranslated his headline, though he stands by the ideas in the piece. Can Women Have It All on the Times Obituary Page?The mention of a female scientist’s homemaking skills spurred an outcry. The Myth of Millionaire Tax MigrationThe Times invents a West Coast trend. Want More Women in Leadership? Help New MomsSheryl Sandberg and Marissa Mayer and Beyoncé are great. But what about us regular women?